Christian Rentas is an artist from Chicago, IL currently working out of Melrose Park. He is studying at the American Academy of Art. His work has been awarded by Triton College and was featured in the ‘Art In The Park’ show in Elmhurst, IL. You can find more of his work @chrisart96. Christian Rentas has the prowess to realistically depict a range of people with oil paints. Anyone who has ever used oils can attest to Christian’s accomplishment. These paintings have a solitary power which inspires confidence and endurance. Christian opts not for hyper-realism but for large, expressionist, Basquiat-like flourishes that illustrate characters who exist within a world of their own creation. 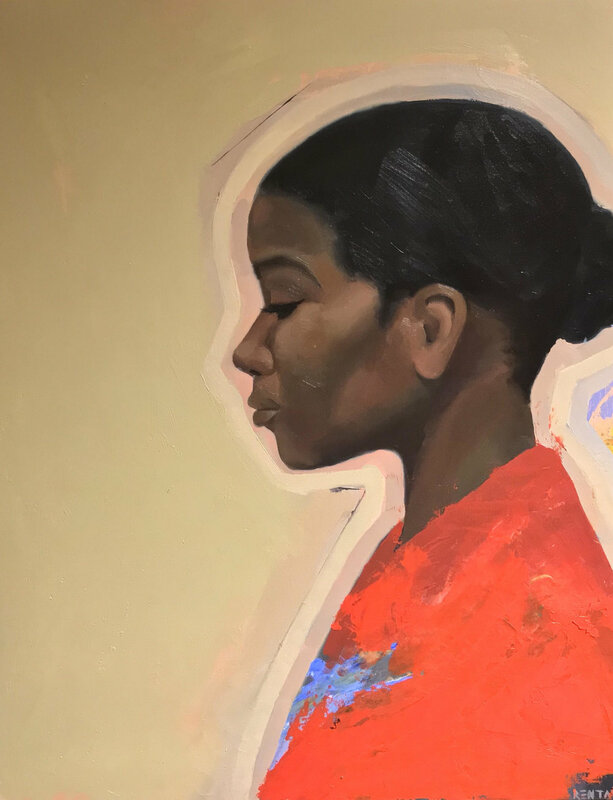 Cross-cultural, specific, and empowering, Christian uses color and negative space to elevate his subjects. These are people who would carry on no matter what. Looking to discover more local visual art? Our mission is to showcase painters, sculptors, filmmakers, and artists alike, thus creating the opportunity to work with each other, start a conversation, and meet the community. See all of our artists or take a look at the awesome painters, illustrators, photographers, sculptors, and ceramicists we've published so far!